Although this article is about the IELTS test, E2Language.com designs and delivers materials and expert advice for a variety of English-language proficiency tests including IELTS preparation course. While there are many different reasons people take these various tests, there is also a commonality among test takers. The three most common reasons people take an English-language proficiency test are: (a) to obtain meaningful employment in an English-speaking environment; (b) to study at a tertiary institution in an English-speaking environment, and/or (c) to emigrate to a country with English-language proficiency targets for its prospective migrants. In other words, test takers would like to reunite with loved ones and family, get meaningful employment in an English-speaking environment and/or continue their studies at an English-speaking institution. Clearly, there is a lot of pressure on test takers to do well. Their happiness and livelihoods could depend on it! Firstly, students have to be realistic about how much they can improve their score through test prep alone. In addition to the necessary test preparation, students may need time to develop the proficiency that they’ll need to succeed. Reading English-language books for pleasure and watching movies in English may be as important as sifting through essay samples from an IELTS test prep booklet. Obviously you’ll want to focus on the IELTS tasks and the language and skills that are essential for a top score, but when you want to relax and unwind, it’d be a good idea to choose English-language relaxation tools. Let’s say, for example, that your friend has been doing some IELTS coaching in Delhi, India. You’d probably want her to help you with your own IELTS preparation, but she is a full-time tutor; she doesn’t want to work all day and then help you with your listening skills. She wants to relax and watch a good movie. You should go to the cinema with her and have a good time watching an English-language movie that you can both enjoy. That will keep your friend happy and help you develop those essential skills. Secondly, students need to do study outside of the normal bounds of a IELTS-prep classroom. In addition to the reading for pleasure discussed above, self-guided study is an essential part of improving your overall language skills and proficiency. Make lists of important vocabulary or grammatical structures as you encounter them in your day-to-day life. Join an online forum like Quora.com and ask questions about English-language conventions, common usage and other mysteries that your typical ESL books have failed to adequately answer. Depending on where you are in the world, you can even join a local ESL support group and talk with other test takers about your difficulties and triumphs. Local libraries are still a great place to meet and organize such groups. Thirdly, you need to be prepared for the style and format of the test. Not only that, you need to experience the time constraints and pressure that the test provides. Truly, you should log on to E2Language.com and sign up for an online course that will help you continue your journey to English proficiency. 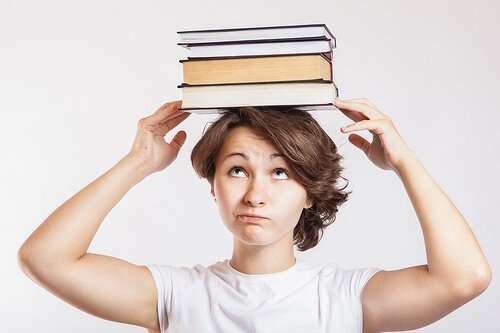 While spending all your free time on IELTS test prep is likely to drive you mad, doing absolutely no test prep will not serve you well either. Even highly proficient users of English have difficulty on the IELTS because of its time constraints, demanding tasks and the pressure of performing. Our online tools and one-on-one personalized instruction will always fit your schedule. We’re better than a bricks-and-mortar school because we’ve got experienced teachers and materials developers delivering up-to-date tasks and providing personalized and professional feedback. Don’t just buy a $19.99 IELTS test prep book of speaking topics with answers, visit E2Language.com and join today. Whether you need an IELTS 6.0, 7.0 or even 8.0, we have your solution! Failed an English Test? Worth Switching Your PTE, IELTS, TOEFL or OET Exam? What Do Teachers Want in an Online English Course?